Based In Newton Abbot & Torquay, Armstrong Removals & Storage is a family owned business with a reputation for efficient and professional service throughout the UK. Working from removal and storage depots in Newton Abbot and Torquay, Armstrong Removals & Storage are equipped to provide clients with a bespoke and personal service tailored to our customers individual requirements. Our different size vehicles ensure we provide the correct truck for the specific load requirement. Our fleet includes; XLWB transit vans, 3.5tn luton box tail lift Vans to our 7.5tn furniture removal lorry. Leave the hard work to us.. Outstanding service, would recommend to anyone! Helpful, courteous cheerful and professional from start of estimate to final removal into new address. Will certainly recommend. Did a brilliant job, turned up on time turned job around effortlessly. Excellent work, efficient, fast and polite men. Thank you! 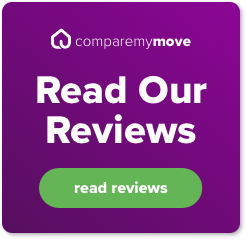 Fantastic service, went above and beyond everything we expected, did everything possible to get furniture in. Could not fault them at all, thanks everyone! Excellent first class lovely guys, couldn't do enough to help. Made moving a pleasure - many thanks!